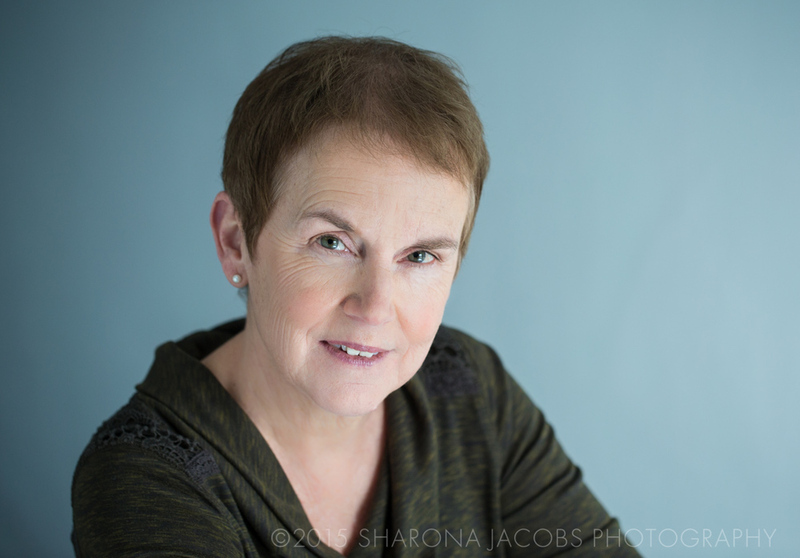 Jane recently came to me because her first book of poetry was about to be published by Finishing Line Press, and she was looking for a book jacket photo that represented both her and her work. She explained that she was looking for a quiet, contemplative image that would accurately represent her keen mind and curiosity, as well as the warmth of her personality. I learned that we both enjoy photographs that showcase honest, "in between" moments, conveying thoughtfulness and a investigative process, so her images needed to capture that sensibility. In addition to writing poetry, Jane has been a professor of psychology and department chair for many years, and meeting her and getting to chat with her was such a treat for me - I always relish the opportunity to chat with those who worked in psychology, as I did for several years. To suit Jane, I shot against a lighter neutral background, and bounced light to create a delicacy and softness to her imagery. She has incredible green eyes, and we chose an outfit in a mossy green both to highlight her features, as well as to pull in the earthy quality of her new book, "First Mud." Her book is available now through Finishing Line Press.